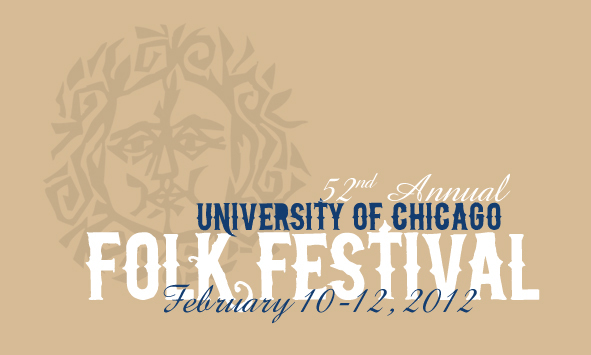 Now in it’s 52nd year, the University Of Chicago Folk Festival is set for Friday, February 10 through Sunday, February 12. The folk festival started when the University Of Chicago Folklore Society, which began in the 1950’s, decided to throw a festival in 1961. Over half a century later, the festival is steeped in tradition as it has hosted some of the most prominent national folk figures including The Stapes Singer, Muddy Waters and Little Walter. This year’s installment of the University Of Chicago Folk Festival brings together a number of different folk stylings from across the world. The lineup, lead by Chicago bluesman Billy Boy Arnold, also features traditional Irish Quartet Bua, Fiddlers James Bryan and Carl Jones, Chicago gospel group The Stars of Heaven and more. But it’s not only performances. The festival also features workshops, jams and dances. The workshops, which are free and open to the public, are often taught by festival performers such as “Old-time Fiddle with James Bryan” on Saturday or “Irish Folk Music In Chicago with the Bua Boys and Kevin Henry” on Sunday. The festival kicks off at 8:00 p.m. on Friday, February 10, and starts earlier each subsequent day as the music begins on 7:30 p.m. on Saturday, February 11, and 6:00 p.m. on Sunday, February 12. Three-day passes or single day tickets for are available right now with discounted prices available for seniors an students. For all additional information and to buy tickets, head to Uofcfolk.org. This entry was posted in Music and tagged University of Chicago Folk Festival. Bookmark the permalink.